There are some heavy dudes involved in it. Publisher Tony Loxley has assembled a swag of ‘in period’ talent- journalists, photographers and drivers to contribute, forty in all. I blew my tiny mind when I got it home and penetrated the thick plastic, protective cover to unveil content rich words and images. That Sunday afternoon was completely shot. At $A95 it’s a snip, nearly 500 pages of beautifully printed and bound hardcover with about ninety percent of the (900’ish) images unfamiliar to me. Mucking around with primotipo I’ve seen plenty of shots in the last four years or so- it was awesome to view a vast array of unseen images, some from the archives of ‘snappers ‘I have met online’ who have kindly allowed me to use their work on my ‘masterpiece’. Which brings me to Rod MacKenzie’s work. I’ve used his images before but the material in the Tasman tome is sensational for its compositional artistry. So I gave him a yell and said you choose two photos (Clark and Muir) and I’ll choose two (Gardner and Walker) to showcase the work and support this article. The photo captions are Rod’s, his ‘artists notes’ if you will. We plan some occasional articles going forward, many thanks to Rod. 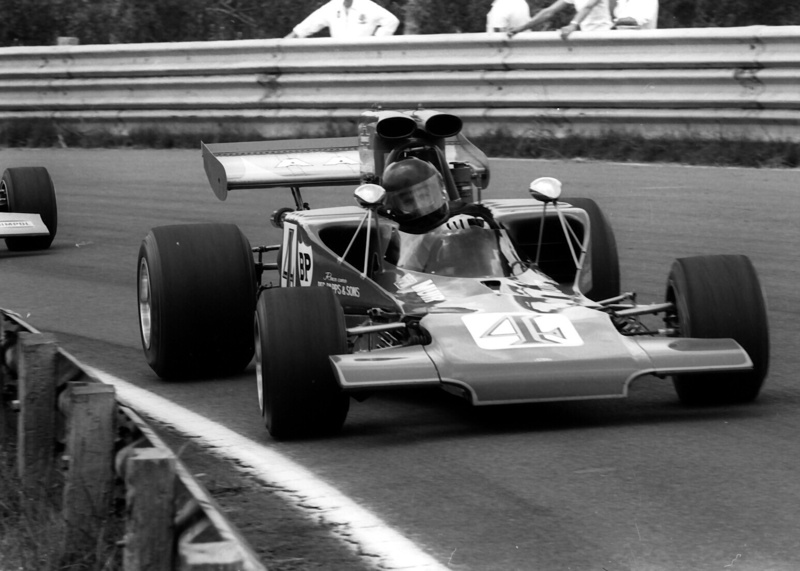 In over fifty years of motor racing photography some of my earlier photos remain dear to me. However, the photos were not quite as important as the spectacle of close racing between highly skilled ‘pilotes’ in competition with their cotemporaries. They at the time were the source of income to attend the many race circuits and were sold to magazines in Australia and overseas. Now the photos have become most important. These photos are now historical records of these men and some women whose exploits have been written about and add reality to reports and clarity to memories. I also endeavoured to photograph many of the competitors ensuring not only ‘the stars’ were captured. Without the photos, memories become clouded and distorted. Not by intent, but by the passage of years. My photos of several Tasman Series spent some time in the proverbial shoebox during a period of having a new family to bring up. They were revisted to be included in two books (so far) from Tony Loxley of ‘Full Throttle Publishing’ about Formula 5000 and The Tasman Cup and have been included in many other books now. I have released some of the photos on social media and they are still appreciated judging from some of the comments received. I take pride in my photos as i try to add ‘something’ above and beyond a picture ‘of a car on asphalt somewhere’. A good black and white photo in my view is more difficult to produce than a colour photo and just suits the history of races. My photos should convey the ‘atmosphere’ of motor sport- the drama, the commitment, the excitement, the humour, the unusual, and the extraordinary when that is possible. Consequently my shots can be moody and dark, bright and clear, or show incidents capturing moments of drama. They generally also have content to ensure recognition of the location of the subjects. The content may be from background, the cars, the weather or the occasion. Together, Mark Bisset and i plan a small series of ‘favourites’ chosen between us from my vast collection. These random photos will continue to appear as time and subject allow, and i also invite you to sample a few more from my http://www.rodmackenziecollection.com/ website and Facebook Group. Until the next offering, enjoy the photos here’. I’m really interested to hear from you all on additions or deletions to the list. The debate isn’t ‘my favourite books on Australian motor racing’ but rather the minimum number of books which most thoroughly tells the history of Australian motor racing. What books should a young enthusiast with limited funds buy is perhaps the filter to apply to your thinking? Whilst the biographies listed may seem specific- they are, but they also cover heaps of related racing stuff over the period of the subjects life, so have great breadth. Pre-war Oz racing books are thin on the ground, few were written- in that sense Medley’s and Gullan’s books are gold. So too are the relevant chapters of the ‘History of The AGP’ which provide lots of context in addition to the race reports themselves. Howard, McKay and Medley were/are enthusiasts/racers who have wonderful historic perspective and deep insight that only masters of subject matter have. Bringing all of the threads about a topic together and drawing conclusions is hard, all have that ability. All of the books listed are out of print except ‘John Snow’ (Medley still has copies) ‘History of the AGP’ and ‘Tasman Cup’, but all can be obtained with patience on eBay. The only one which is a bit on the exy side is Phil Irving’s book, the prices of which are high given huge global Vincent enthusiast demand in addition to us car guys. ‘Action! 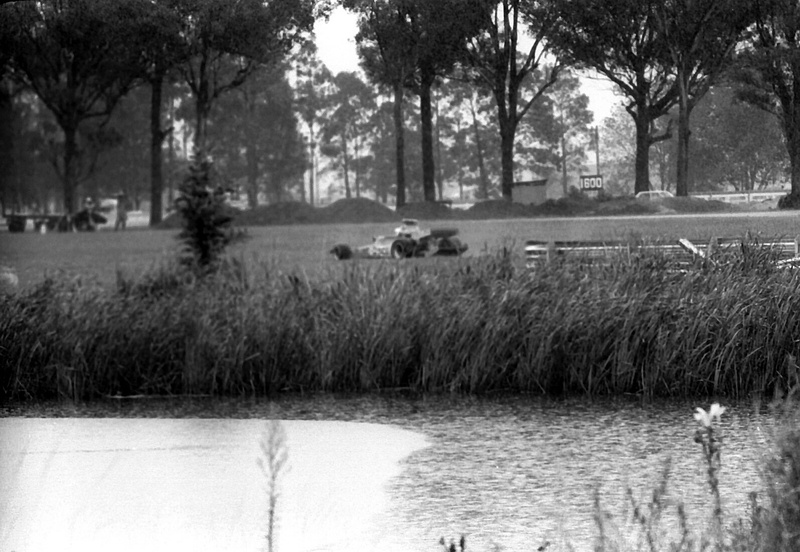 Getting close to Bob Muir’s Lola T300 in the Esses at Warwick Farm in 1972. This remains my favourite Warwick Farm location although getting it right was really difficult. There were only a few places that were close enough to warrant an uninteresting background. So we have the best location, best looking Lola, and a great photo that shows Muir’s speed and commitment at the most difficult section of the ‘Farm’. Great article featuring some of Rod’s best shots. I am always amazed at the wonderful images captured by Rod particularly at Warwick Farm’s Esses, with the powerful and fast subjects passing just a metre or so from his body while he looks through the lens! Very brave! 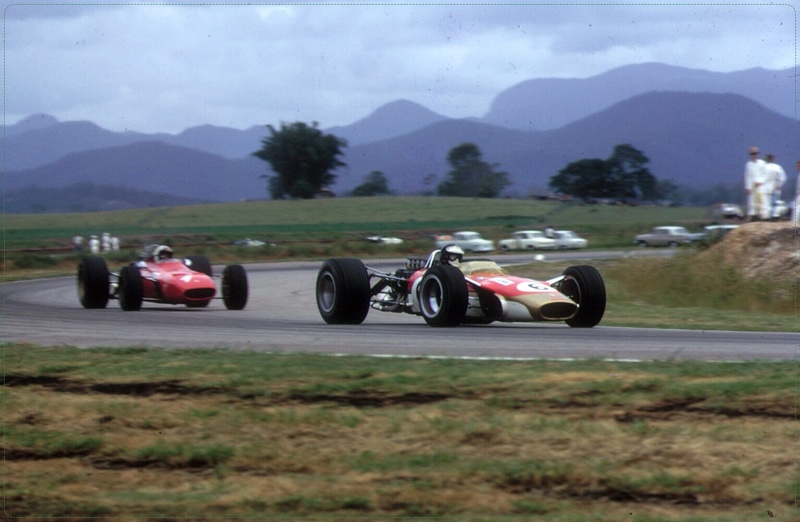 Mark, re your Essential Library of Motor Racing Books on the Australian scene, I must add one; John Barraclough’s ‘When I Grow Up” – certainly an essential read. Another essential read, but only peripherally Australian, is my late friend Eoin Young’s ‘It Beats Working’ – there is quite a bit of Tasman stuff in this great book. Have heard of Eoin’s book but not ‘Back Offs’- is the Tomlinson book worth chasing, have never even flicked thru a copy? Now that is a list Wayne- you have kicked the discussion up a couple of gears. My own is biased of course not particularly being a touring car kinda guy- some great stuff in your mix! Sorry. Don’t know the Tomlinson book. Seems you have opened Pandora’s box. Looking at your list, I have half of them, and still need to add “David McKays Scuderia Veloce” and “Historic Racing Cars in Australia” when an affordable copy pops up, plus must catch up with some recent releases like the Geoff Smedley book. Would love to see a good Repco book (not a hint!). Bit of a disappointment, the English reads like its been translated with Google, it took a while to get used to Enzo being referred to as “the Drake”, and even with my limited knowledge noticed a few errors, but the photos are great. A plug for a couple of favourites. Hawkeye – Ivan McLeod, not about local racing, however Paul Hawkins is only one of two drivers to throw a GP car into the habour at Monaco! Rod’s photos are brilliant, cant have too many! Interesting thread – I look forward to reading the suggestions. I’d put the 50 Race History of the AGP at the top of the list. How about Fast Tracks by Terry Walker, which contains maps of almost all Australia’s racetracks. A agree, it’s a master-work, it blew my tiny mind in ’86 or thereabouts when it was first published. It may have been long overdue but it was the goods in every way and is still a standard reference tool for me on most Oz topics. Here are some more from a quick scan of my bookshelves. I hope they haven’t been mentioned above. In no particular order. Frank’s book and Bryan Hanrahan’s are both favourites, FG’s for being so practical as I made my first tentative F Vee steps and Hanrahan’s for opening my mind to Australia’s motor racing history as a very young teenager- despite the errors in said book! Legends of the 48/215 by Joel Wakely ( owner of Boomerang Motors) focuses mainly on Spencer Martin and the Boomerang Motors FX Holden but is a wonderful insight into motor racing at that time and the beginnings of SM’s wonderful career. I am a Spencer Martin fan so keen to get hold of a copy. Email avant-garde@bigpond.com for a copy. I’m surprised that one celebrated (and collectable) book hasn’t been mentioned – Evan Green’s; “A Boot Full of Right Arms,” which covers his exploits in a Leyland P76 in the 1974 World Cup Rally. It is a fantastic read by one of Australia’s best ever motoring writers. In a similar vein is John Smailes; “Bright Eyes of Danger” on the 1968 London to Sydney Marathon. Incidentally he has a new book on the same subject; “Race Across the World” which is being released later this year. Another fine book, though not strictly Australian is “To Finish First” by the late Phil Kerr. 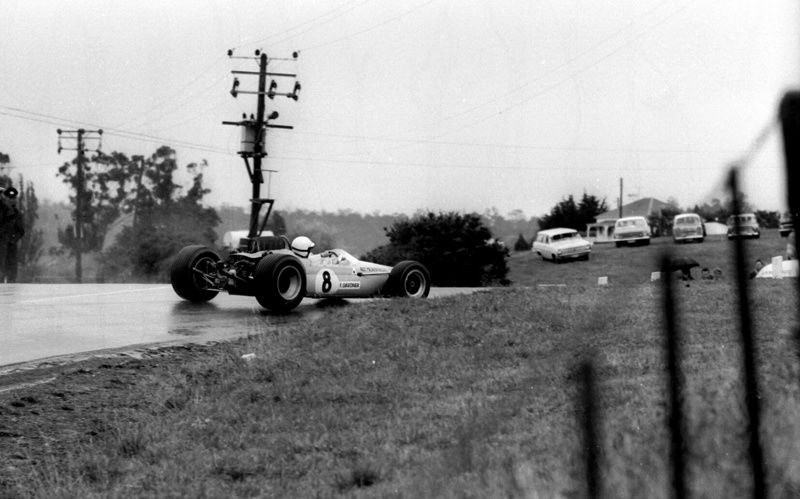 Kerr was a Kiwi who was business manager for Bruce McLaren from 1959, then went on to work for Jack Brabham’s new team and finally back to McLaren where he stayed until 1975. It is a much better read than Tyler Alexander’s book on his time at McLaren. Finally you mentioned Spencer Martin – there is a Muscle Man profile on the “Smooth Operator” in the latest Australian Muscle Car magazine (issue #104) at newsstands now. Have got a couple of Evan’s books including that one- no doubt you have an Alfa one he wrote in the seventies. Phil Kerr book is one I must buy, time to buy AMC- Spencer retired way too early in my opinion. You can’t argue about exiting at the top of your game tho. A wonderful concept to highlight our important motor racing heritage. Motor sport photography is never an easy assignment … especially considering all weather conditions and the obviously required camera skills! Thanks for the wonderful images and insightful commentary Rod. This series is going to be fun! Lotsa great response to the first one.